Work on a pioneering ‘self-sampling’ scheme where Scotland’s mackerel and herring fishermen participate in gathering scientific data on fish stocks is gradually gathering pace. In a programme co-ordinated by Dr Steven Mackinson, chief scientific officer for the Scottish Pelagic Fishermen’s Association, a feasibility study is currently underway into launching a self-sampling programme, which one completed, will hopefully pave the way for a fully integrated scheme. 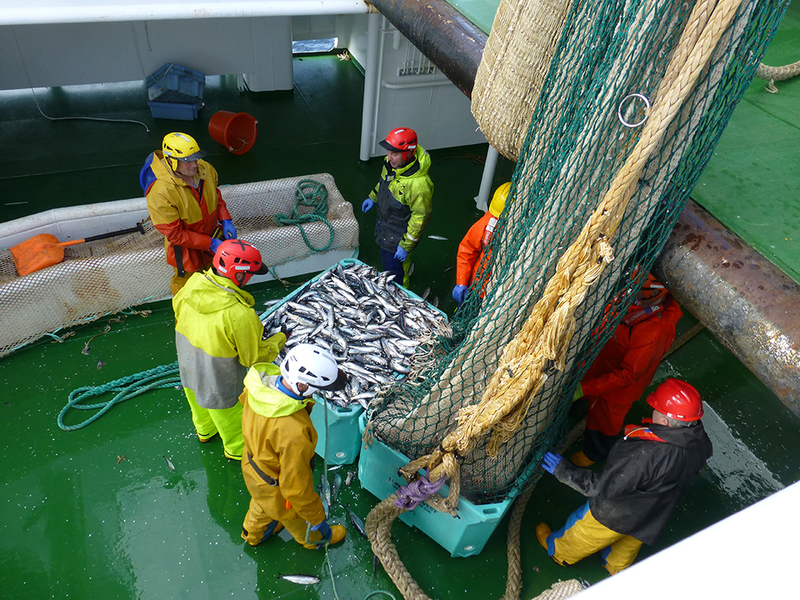 Two well-attended self-sampling demonstrations have already been given to pelagic fishermen in Shetland and Fraserburgh, and with the North Sea herring season currently underway, these fishers will now have the opportunity to refine the protocols involved when sampling fish. Funded by Fisheries Innovation Scotland, and working in partnership with Marine Scotland and NAFC Marine Centre in Shetland, the long-term aim of the project is to provide a platform where skippers can scientifically sample mackerel and herring, and thus fill-in gaps in our knowledge. It is hoped that such data may eventually be used some stage in the future in the scientific assessment process of fish stocks, including calculating biomass and identifying population trends.